Mail makes me smile. Sending it, receiving it. I love the idea of mail, the act of mail, the intent of mail, the art of mail. I love mail. This morning while researching for a job interview and packing for an evening flight to Louisiana for a week of volunteer work with Team Rubicon, I came up for air and checked Facebook. By that I mean I’m an undisciplined schmoo and instead of the task at hand, I was on social media. An acquaintance in NYC posted a one line status about it being a wonderful time to be a veteran and an artist in NYC. I smiled, and then, after reading the first comment, laughed out loud. Dude (I don’t know) said oh good, I’ll stop hustling now and I laughed. And then clicked on his name because I didn’t recognize him and I knew some of the artists in the veteran community when I was in NYC. Scrolled down his feed a bit -call me a vouyer, but it’s set public- and one post caught my eye. 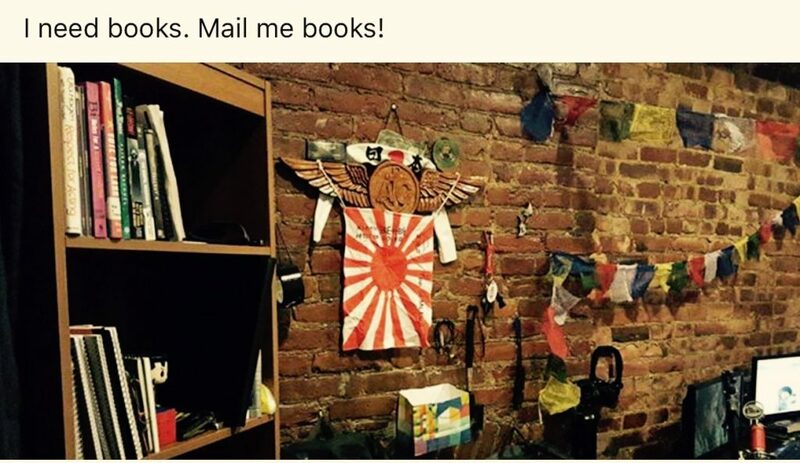 “I need books! 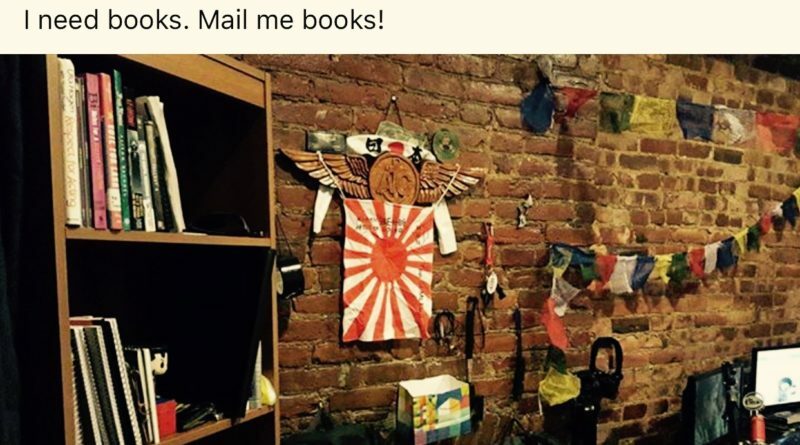 Mail me books!” That line was atop a photo of a cool “dudes” studio apartment, with a sparsely filled bookshelf prominently displayed. I scrolled down and dontcha know? Right there in the midst of his comments was his MAILing address for me and EVERYONE to see. My eye twitched when I saw it, but that’s another post. I knew immediately which book I’d send this complete stranger. 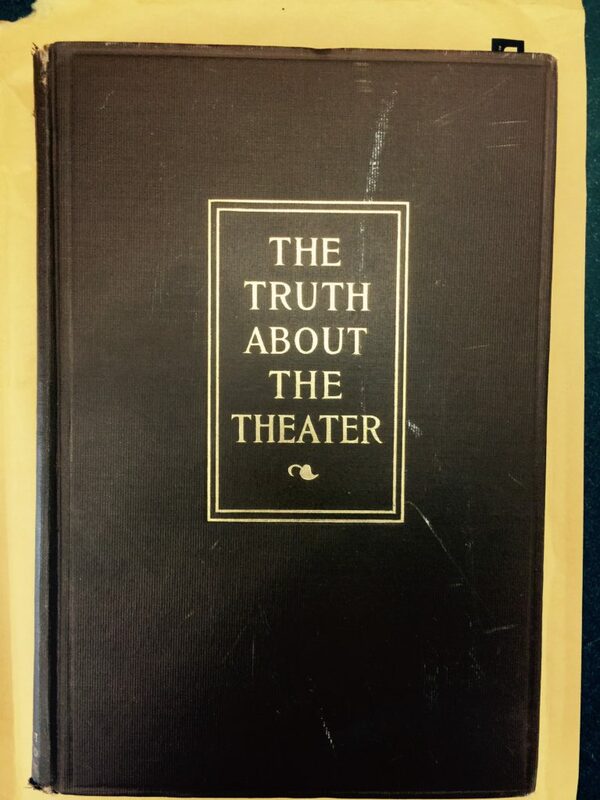 I have a 100-year-old copy of “The Truth About the Theater” on my mantle. Dude’s feed CLEARLY tells the story of him being an actor, so, it was obvious. I don’t remember which estate sale I bought it from but I know I paid a dollar or less because that was my “max” when I bought books at estate sales in NYC/ Upstate and Connecticut. One of the things I love about the book is the inscription on the inside page. 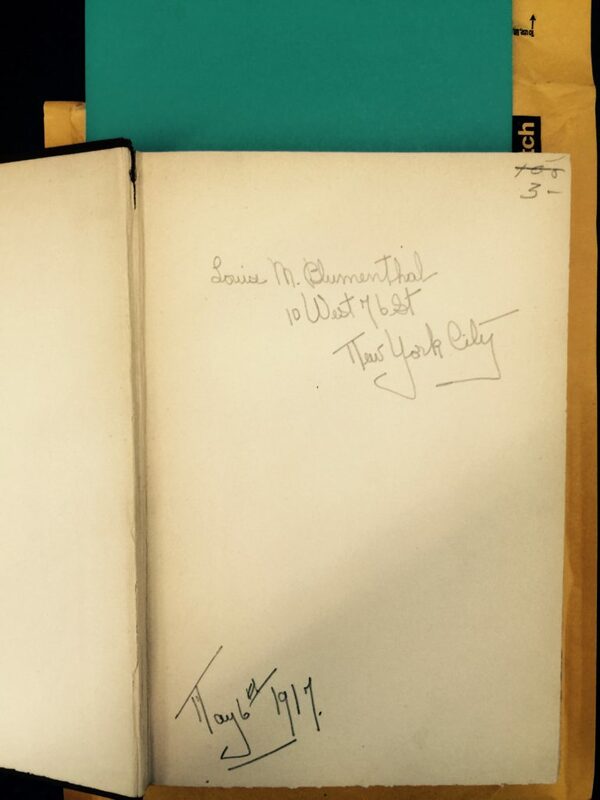 99 years ago, someone put ink to paper and left a message there for all of us to read. I love it. And I’ve enjoyed it. And today I hand wrote a note (on a note card, not in the book, I’m not a monster!) and dropped it in the mail to a complete stranger. He’ll either think I’m guano crazy and be sure and block me on Facebook or perhaps he’ll enjoy it and send a note. I may never know but the simple act of sending a book to a stranger made me deliriously happy today. And Meg, this is why there’s no note in the box I sent you today. And Shannon? Your card was rushed. 😳 Time management and spreading the love and all that. And so. Today I combined my love of mail with my love of old books and my sheer delight in performing random acts of kindness.